SELKIRK — It’s normal for parents to watch their teenage and young adult children get jobs so they learn how to earn and attain valuable life skills, such as communication and time management. But that rite of passage becomes challenged for families who have a member struggling with autism spectrum disorder (ASD). 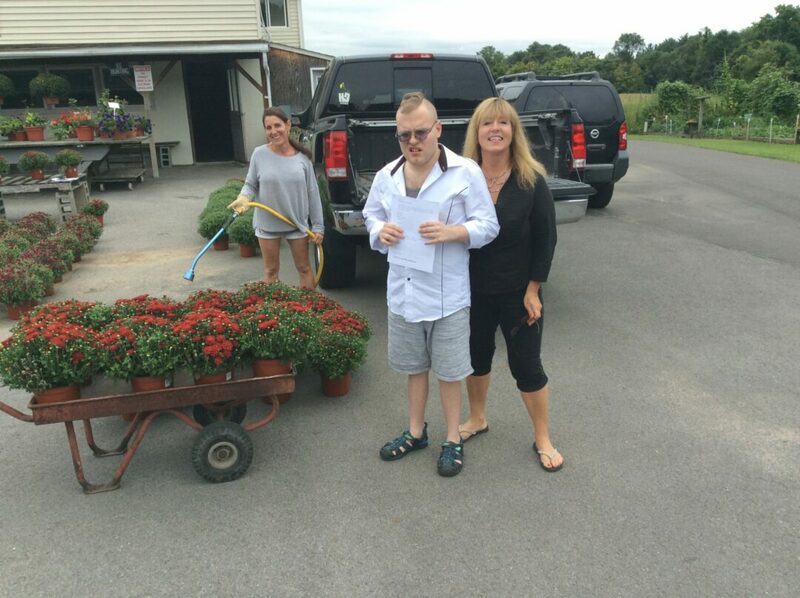 While Lisa Marsh, 56, was aware that ASD may put her 20-year-old son, Thomas, behind everyone else, she refused to give up and reached out to Joanne Penesso, the general manager of Kolbers Farm on 916 Route 9W in Selkirk, to see if she would allow Thomas to volunteer for a day there as a work project. The American Psychiatric Association finds that people with ASD have a hard time communicating and interacting with other people, have restricted interests and repetitive behaviors, and show symptoms that limit their functionality in everyday environments, such as school and work. Some symptoms include: sleep issues, irritability, avoiding eye contact, struggling to converse, getting agitated when a routine gets changed, and having a specific sensitivity to sensory phenomena including light, noise and temperature. Conversely, people with ASD may also succeed in math, science music or art, be great with learning through visuals and audio, and recall detail-oriented information for an extended time period. On Friday, Aug. 31, Lisa wanted to give her son the opportunity to experience working at a local farm for a day, something she felt would benefit him personally and professionally. volunteer to work that day would give him a qualitative experience in terms of meeting people and getting work done. Thomas’ main objective was to help deliver fall mums — the nickname for chrysanthemums — to locals who ordered them, which is among the most popular flower type in the fall. So on Aug. 31, beginning at 10 a.m., the mother-and-son duo spent up to six hours collectively delivering 21 orders of 63 mums. She added that Thomas was hence able to focus on the mums’ color, the amount and who ordered them. He received neither outside help beyond his mother nor a paycheck for this work project. However, Lisa noted that Thomas sometimes had difficulty maintaining eye contact with people and tended to turn away during conversations. Appreciating Lisa and Thomas’ hard work for the day, she expressed gratitude as running the farm by herself can be challenging too since there are many pressing tasks like answering phones, farming and coordinating deliveries. Penesso had to learn how to run Kolbers after its previous owner and her stepfather, William Kolber, died in late 2015. On the other hand, Lisa acknowledged that many local part-time jobs can be undertaken by people with ASD, giving them an opportunity to find work. She also expressed hope that both the Bethlehem and Ravena-Coeymans-Selkirk central school districts and the Capital Region BOCES (Boards of Cooperative Educational Services) would establish a either a summer- or year-long program to help people with ASD prepare and find employment or work projects. Examples she gave included cleaning windows, tidying offices, setting silverware up with napkins in a restaurant environment, riding with supervisors and packaging boxes. 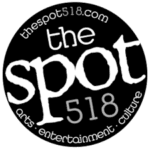 According to Lisa, Thomas had been “mainstreamed” into the Ravena-Coeymans-Selkirk Central School District, before he was placed into the BOCES program and then the Wildwood YAP (Young Adult Program). While BOCES provides services for students with disabilities, Wildwood YAP aims to enable Thomas to learn and practice more everyday life skills including communicating with peers and working.